Fraud prevention solutions have evolved significantly in the past 3-5 years in terms of improved analytics, business intelligence, risk scoring, image analysis, platform deployment, and decision support. However, the deployment cycles of these solutions can be complex and challenging. When you weigh IT overhead, project costs, systems integration, security, infrastructure — just to name a few — even the most desirable improvements become highly scrutinized. 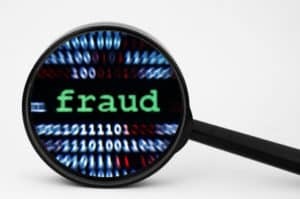 In the realm of check fraud, it’s generally agreed that fraud detection and prevention is absolutely crucial to the industry. However, there is a paradox going on in the market. Many banks had given up on improving their check fraud prevention systems! The paradox developed because check volumes stabilized around 18B this past year and there seems to have been a boomerang effect from the deployment of EMV with the credit card industry, resulting in increased check fraud. The National Check Fraud Center describes the many scenarios which can impact the industry via check fraud. It’s a wake-up call, as many banks are still running fraud deployments of products developed 15-20 years ago and run as a Day 2 operation exposing many gaps in today’s real-time, omnichannel environment. But for the banks, in many cases, it’s just easier to keep the same system and simply budget a higher amount against losses. However, taking a fresh look at the subject reveals that there are new solutions available to address real-time check cashing problems, real-time deposit fraud, labor inefficiencies for suspect review, and the growth in check fraud. Within the next month, OrboGraph will be releasing our Check Survey Results, which we think you’ll find very, very interesting and useful. Watch this space for updates!